After a brutal winter, who isn't ready for a little spring cleaning and home repair? Step 1: FOLLOW our Facebook page and LIKE the "Fix It Up" post. Step 2: ENTER your information and submit a photo of what you would like to fix up. For Official Rules and details of the contest, click here. Interested in applying for a personal loan? 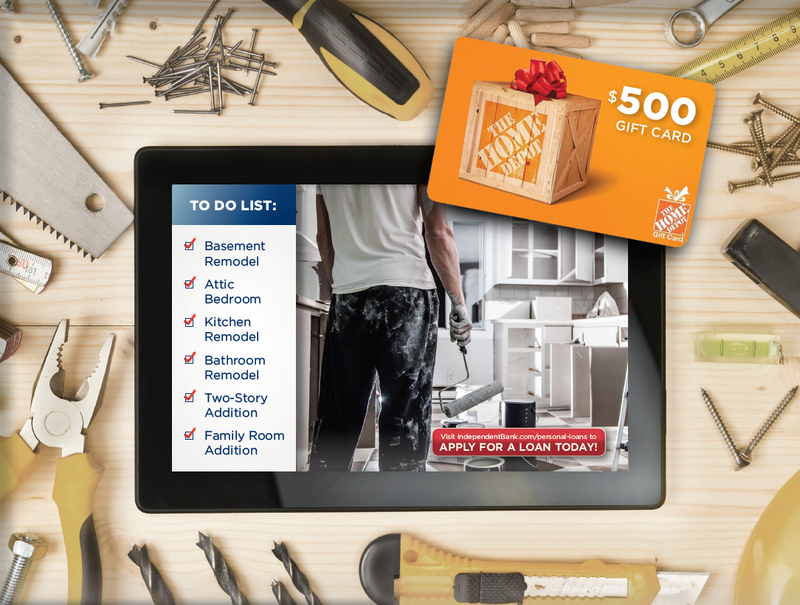 If you're beginning your spring home improvement projects and need some finance help, we're here for you! Whether you're adding on to your home, renovating a bathroom, or beautifying your backyard, we have a personal loan for you.